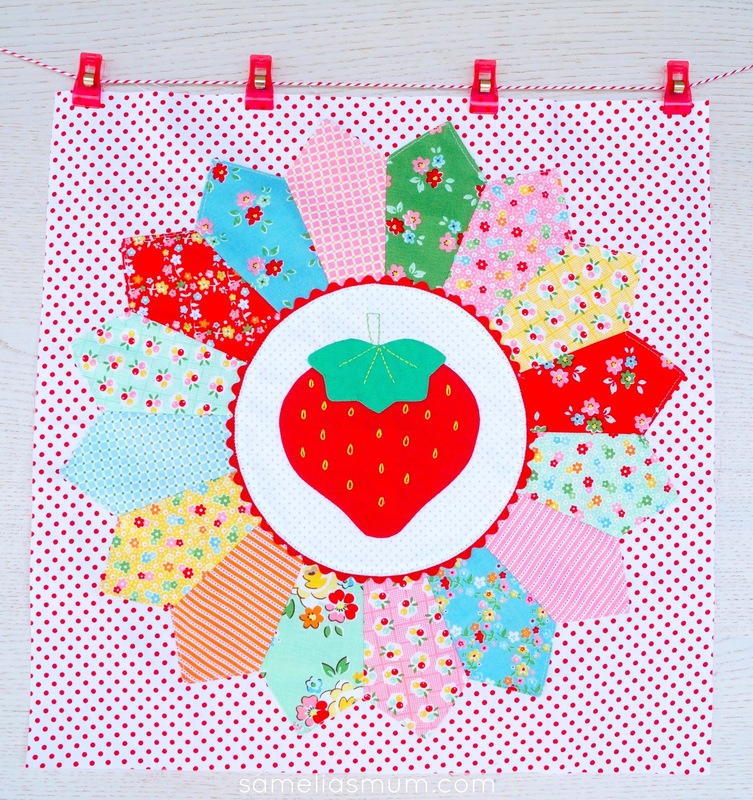 The other day, I shared my Strawberry Block as part of the Sweetie Pie Sew Along, hosted by Lori Holt of Bee in my Bonnet and Riley Blake Designs. Today, I thought I’d share what I made with my block… well… blocks. I made a couple of the other blocks and turned them into a really fun table runner - which I am completely in love with! It’s bright, bold and absolutely delicious. Choosing the two other blocks for the runner was tricky. They’re all really cute. 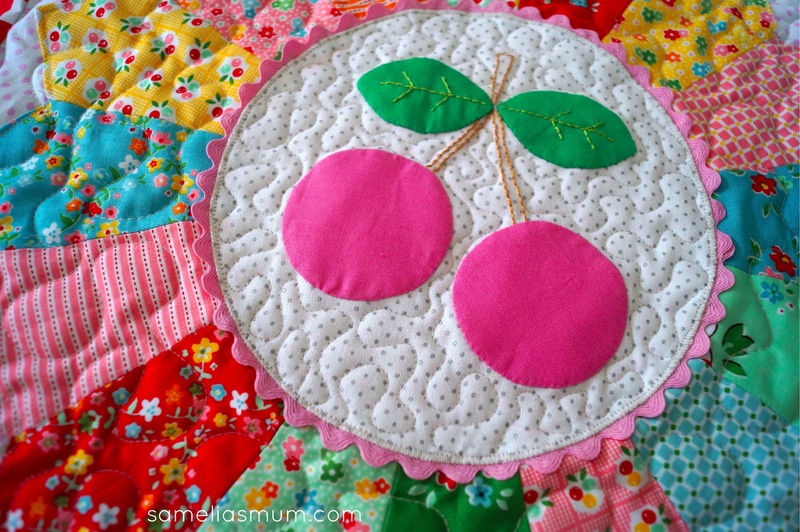 I decided on the cherry pie block and the pear block - all fruits which I love. 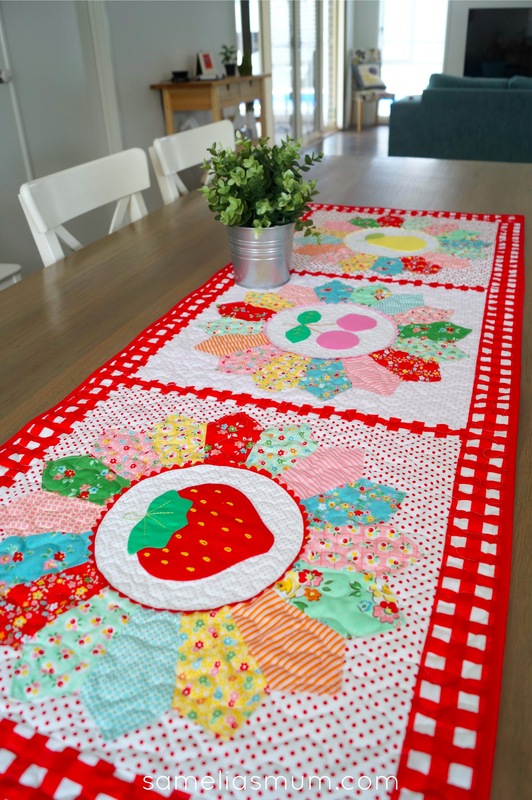 This table runner is very busy and includes a little bit of everything I love. Dots and spots. Gingham and little florals. Hand applique and hand embroidery. Ric Rac and machine quilting. 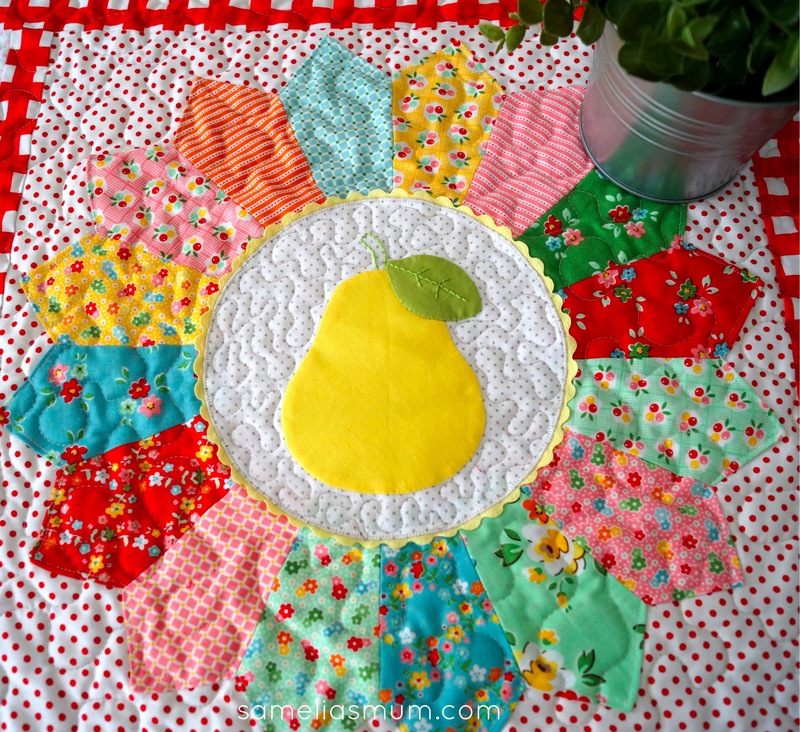 Very cute table runner, bright and cheery. Thank you Terry. It's certainly makes me smile. Your Sweetie Pie runner is adorable!! !